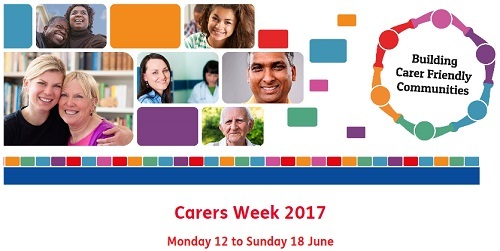 Carer’s Week 2017 runs from Monday 12th to Sunday 18th June. One You Merton is supporting Carer’s Week 2017 with this year’s theme being about how we can all help with Building Carer Friendly Communities. Carer Friendly Communities – what does it mean? The idea of this year’s theme is to highlight the crucial role that carers play within their community which often goes unrecognised. The Carer’s Society is working together with many other organisations such as Age UK, McMillan Cancer Support and the MS Society to encourage as many people as possible to work together to form more Carer Friendly Communities. Carer’s often have a lot of pressure to deal with and are often unknown as carers to their local community. When a community is Carer Friendly, everywhere from the hospital, workplace, school, to leisure services and beyond will work towards addressing the needs of carers. Carers say they want to live in communities that support them to care well and safely, that respects their caring role, and help them to be involved and consulted about the care and support of the person they care for. Carers also say that they want to be supported to be healthy themselves, to be able to work if they want to, and to have a life of their own outside their caring role. They want to be treated as an individual with needs of their own, and not only as a carer of someone else. Why should communities be Carer Friendly? 3 in 5 of us will be carers in our lifetime. As our population ages and people live longer, often with complex health conditions, more and more of us will be called upon to care for an older, disabled or seriously ill loved one. By 2037, there will be 9 million carers in the UK. Many people will care for someone multiple times in their lives, but often do not think of themselves as a carer – they are just a husband or wife, son or daughter, parent or friend, doing what needs to be done. The human cost of our communities failing to support carers is high. People are rarely prepared for the huge impact that caring responsibilities can have on their lives, with 3 out of 4 carers saying they were not prepared for caring. Caring can be a fulfilling and positive experience, but caring without enough support can also have a negative effect on someone’s health, career, relationships and ability to live a life of their own outside their caring role. If you would like to find out more about Carer’s Week please see here.